A quick and elegant shawl to keep you warm during any trip to cooler places or in the cooler months. 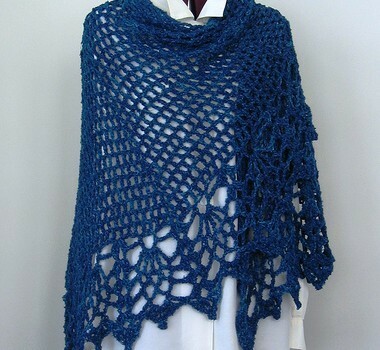 The All Shawl crochet pattern by Doris Chan has lovely design with multi ways or lengths. That edging is fabulous! The pattern is so simple; you could almost make it in your sleep! It’s also a very versatile pattern you can achieve a different look using different yarns of different textures, and believe it or not, this free crochet shawl pattern is also a great stash buster! 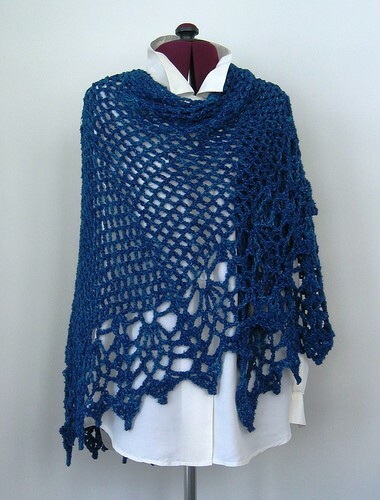 Create your own All Shawl using virtually any yarn, any gauge. This quick to crochet shawl has a rounded shape with open fronts, sort of like a pie with a wedge missing. This shape helps keep the shawl on your body, with enough fabric to wrap around and toss over the shoulder. Pattern offers tips on yarn substitution, adjusting for length and width, suggestions for customizing with your favorite lace edging or trim. Thanks to Doris Chan for the article inspiration and featured image. Oh, No! At this rate, I will never finish making everything that I like! But how do you get free pattern??? Cyndi, the pattern is always linked to the name of the pattern: first letters capital, followed by the name of the designer and just one line under the name. In this case, you need to click the All Shawl words. Hope it helps! I’ve used this border on an Afghan before.